Alone in Berlin begins and ends with a minor character: a woman called Eva Kluge. At the start of the book she is a lonely mother, separated from both her conniving and philandering husband and, more devastatingly, from her morally corrupt Nazi son. She is a postwoman and the delivery she makes on page one connects all the elements in the novel: the retired good-natured judge, the objectionable family of a former publican, a Jewish woman who is probably a widow, although her husband has just disappeared, the family of a man who lives off the earnings of his loose-living wife and, finally and most importantly, the main characters of the novel Otto and Anna Quangel. The Quangel's letter is black-edged which the postwoman knows can mean only one thing: their only son has fallen at the front. Otto Quangel, described so vividly, seems unsympathetic. He is a recalcitrant figure who seems destined to remain a stranger to everyone - his colleagues who have worked alongside him in a factory for years and even his wife of twenty-five years. He is brought alive by the narrative and the reader soon realises the depth of the man who soon becomes set on embarking on a risky protest, and is redeemed in the end by tragedy. 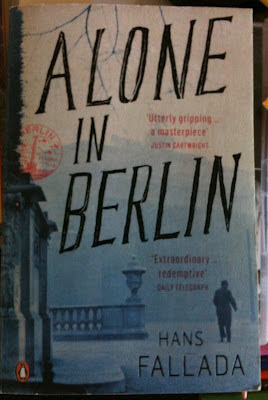 Alone in Berlin gripped me. The lives of the characters are absorbing, sad and tragic. The impression of a place where even the most innocent is in danger of being betrayed makes a febrile setting. Gradually another important character is introduced - Gestapo inspector Escherich - and even he is human. In fact it is the inspector's humanism, brought out by Otto Quangel which for me was the pivotal scene in the book. Like everyone else Escherich is made to suffer, and this suffering pierces his inflated ego and sense of superiority so much that when he encounters Quangel he is vulnerable. What happens to the Quangel and hi wife is inevitable and yet still holds small twists and surprises. 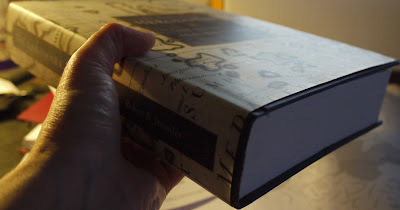 The book finishes with Eva Kluge, or rather the result of Eva Kluge's labours. Like Otto Quangel she finds redemption, and happily she is one of the few characters that survives to enjoy it. The novel is based on a real story and this, together with a brief synopsis of the life of the author, Hans Fallada, are interesting in their own right. The book is expertly translated by Michael Hofman and contains valuable footnotes explaining the relevance of some of the terms and references. 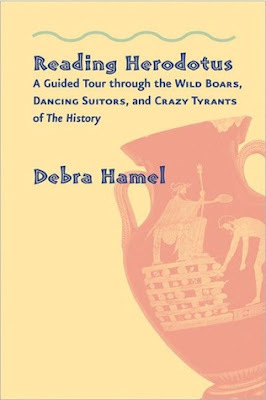 Debra Hamel, author of Reading Herodotus, is giving away a copy of her book. So, if you would relish the chance to learn about the truly mad things people got up to in the classical Greek world, I suggest you click over to Goodreads right away and try to win yourself a copy. The Giveaway ends August 31st, 2012. 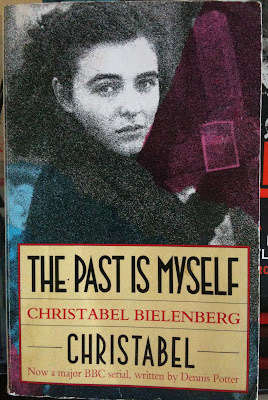 I have continued my reading-theme of 'Berlin in World War Two' with another memoir - The Past is Myself by Christabel Bielenberg. Christabel was Anglo-Irish, went to Germany to study music and fell in love with a handsome lawyer from Hamburg. She became a German citizen and lived as a German hausfrau throughout the second world war. Her husband was against the Nazis from the beginning. Christabel, however, had found the early Nazi meetings entertaining, and had accompanied her friend Hans just to witness the spectacle. She even managed to entice her future husband along in the Autumn of 1932 ('stretching his devotion [to her] to the limit') and at the end of it he had 'delivered himself of one of his rare political pronouncements. "You may think that Germans are political idiots, Chris," he said very loudly and firmly, "and you may be right, but one thing I can assure you, they won't be so stupid as to fall for that clown." Although Christabel and her husband, Peter, were never directly involved with the plot against Hitler they were very friendly with people that were and so Peter was arrested and sent to a concentration camp. 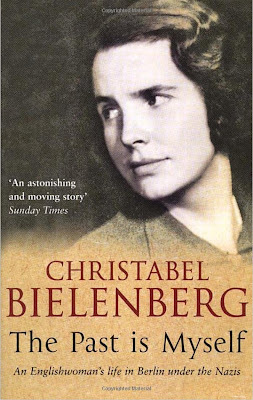 Christabel was pivotal in securing his release by bravely requesting an interview at Gestapo Headquarters - making an arduous journey to Berlin from the Black Forest where she had taken her young family to sit out the war in relative safety. The book is outstanding for many reasons: the writing is excellent, and the author gives an astute insight into the German character and why exactly Naziism happened. There are many chilling moments, but the one that struck me the most was towards the very end of the war. Christabel, after a residence of several years, has become a fully accepted member of a small village in the Black Forest and shares their sense of disquiet when a small contingent of German soldiers take it over in their retreat from the Western Front. At first they are accepted, but when a local electrician refuses to work for them on a Sunday and is executed, together with a local youth deemed to be a deserter, Christabel shares their outrage. The end of the war comes days later - heralded by an empty packet of Lucky Strikes which has been discarded by American soldiers as they have passed by the village. The book was made into a BBC serial written by Dennis Potter and starring Elizabeth Hurley - whose photograph is on the front of this version of the book. I've recently finished listening to an audiobook called A different Kind of Courage. 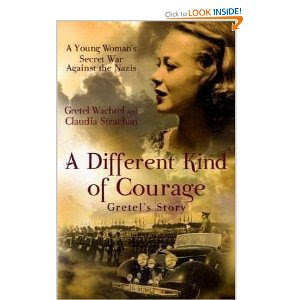 It is about the life of an ordinary girl in Hamburg called GretelWachel during the second world war. Gretel was a feisty, lusty and attractive young German woman brought up by a Socialist grandfather. She inherited his values, and these made her a natural opposer of the Nazi regime. The book opens with a scene that exemplifies this. Gretel is in a train, on her way to her first day of forced labour in a factory to make grenades. The train pulls up alongside workers who are clearly starving - one of the many races the Nazis considers subhuman. So Gretel stands by the window, and without making it obvious, drops her sandwich onto the ground by one of the workers. The worker doesn't look at her, but later she sees the worker pick it up. This encourages her fellow passengers to do the same, and on subsequent journeys Gretel notices that the workers are making sure they are working by the track when the train comes along. This is Gretel's modus operandi - small acts of disobedience which she hopes will undermine the Nazi machine. When she works in the armaments factory she fills the shells inadequately and works so slowly she is eventually relocated in an office - and creates havoc in there too - deliberately mixing up the records. The book carries on through Gretel's life - her marriage to a Communist who also happens to be a misogynist, and then into another office job where she becomes one of the team of women responsible for transposing messages using the enigma machine. 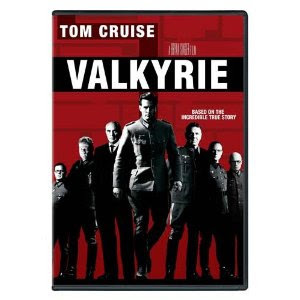 It is on her shift that the plot to kill Hitler and attempted coup d'état (Valkyrie) comes to light. Meanwhile, in her room in her mother's house, she is busy not only operating a nice little (black) 'business' on the side, but also one day looks after a special guest in the cellar. Inevitably, all these episodes of undermining Hitler's Germany were noticed and Gretel was arrested and interrogated by the Gestapo, tattooed with a number and sent to a transition camp. The conditions here did not seem as horrendous as those in one of the infamous concentration camps, but food rations were minimal. Gretel's solution to this I found one of the most unusual and interesting episodes of her life. Gretel went on to live to a grand old age, and the book is the result of a collaboration between Gretel and her neighbour, Claudia Strachan, who patiently interviewed her and correlated her stories over ten years. It is a worthy testament to an impressive and inspiring life and I think deserves a larger audience. I have already been to Berlin, about ten years ago when I was researching for my book about Alfred Wegener. 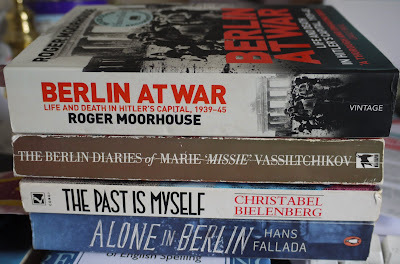 (these written by women of three different nationalities: Russian, English, and German, and the last is based in Hamburg); a novel: Alone in Berlin by Hans Fallada and a non-fiction book: Berlin at War by Roger Moorhouse. 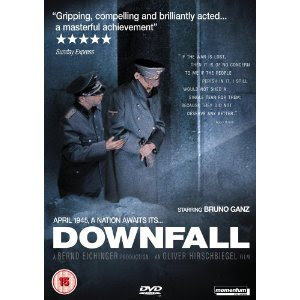 and, I hope, Downfall directed by Oliver Hirschblegel. I keep seeing similarities between other places and other times - each dominated by charismatic megalomaniacs - and wonder how they came to not only rule but attract a nation of devoted acolytes. and entertaining form for the modern reader. 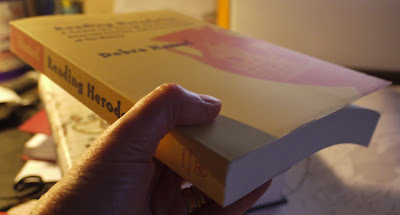 Today I received a copy of Reading Herodotus: A Guided Tour through the Wild Boars, Dancing Suitors, and Crazy Tyrants through the post so I am now a smug and happy owner. I keep flicking through it and being hooked. For instance who can resist a chapter headed 'Horny Goats and Medicinal Urine'?